Norma Ortiz - New York - Book a consultation instantly! 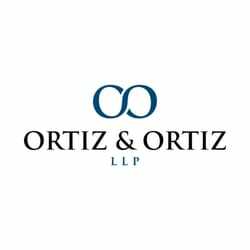 Attorney Norma E. Ortiz has been practicing law in New York since 1988 and in New Jersey since 1994. 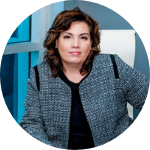 A strong litigator, Norma joined her father’s legal practice in 1998 after working for the U.S. Department of Justice Trustee’s Office and clerking for a bankruptcy judge in the Southern District of New York. She provides attentive, individualized service to businesses and consumers in Chapter 7, Chapter 11 and Chapter 13 bankruptcy. In 1984, Norma received her B.A. in International Relations and Urban Legal Studies from the City College of New York. She earned her Juris Doctorate from the New York University School of Law in 1987. Norma is a founding member of the Association of Latina Lawyers and is a board member of the Puerto Rican Bar Association. Norma is also the chairperson of the Bankruptcy Committee of the New York Bar Association. In addition to both her practice and her participation in various associations, Norma prepares lectures and conducts training for other attorneys on bankruptcy law and practice. She has been interviewed by news networks New York 1 and CNN as an expert in bankruptcy law.